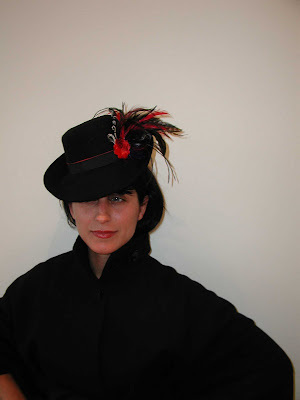 This post is a bit belated, but I want to make a plug for DeAnna Gibbons Millinery here in San Francisco. Here are some photos of her work. 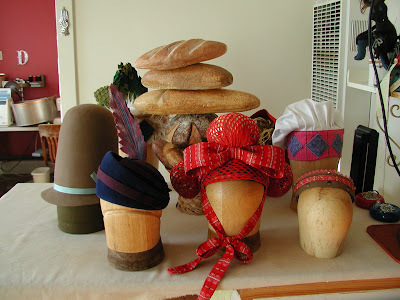 And, here are photos of hats she made for the stage play Strega Nona, produced at Active Arts Theatre. The costume designer was Ulises Alcala, a costume professor at Hayward State. 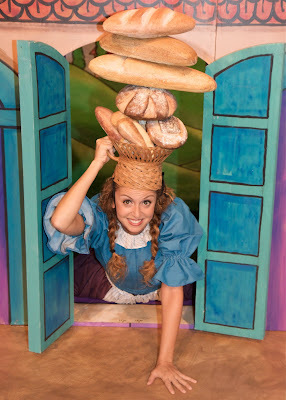 No, the bread isn't real! It's a hat! 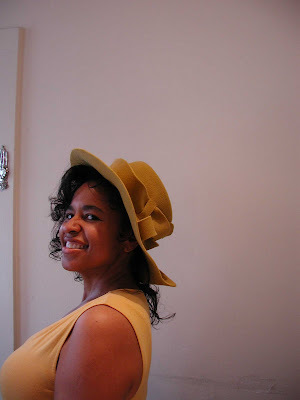 Deanna is an expert milliner and talented designer who generously offers hat-making workshops four times a year. 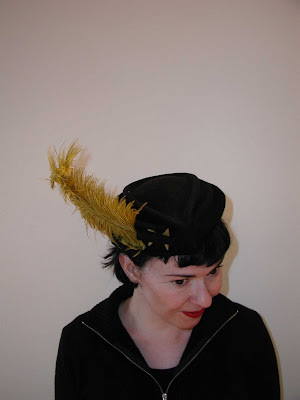 A few weeks ago, I attended her felt draping workshop, and learned how to sculpt a felt hat by hand without the use of a block to create the shape. It was fascinating! DeAnna is a wonderful teacher, and I learned a lot during the two-day class. 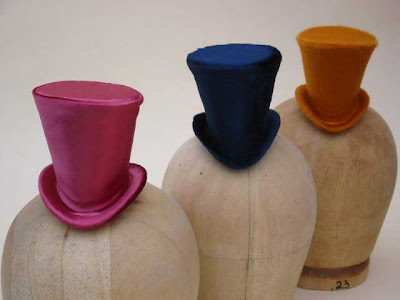 Here are some photos of me and my two classmates with our finished hats.